This product is made from high quality, durable, long lasting, Genuine Leather. So no more embarrassing black marks on clothes. No more ruined pants and shirts! 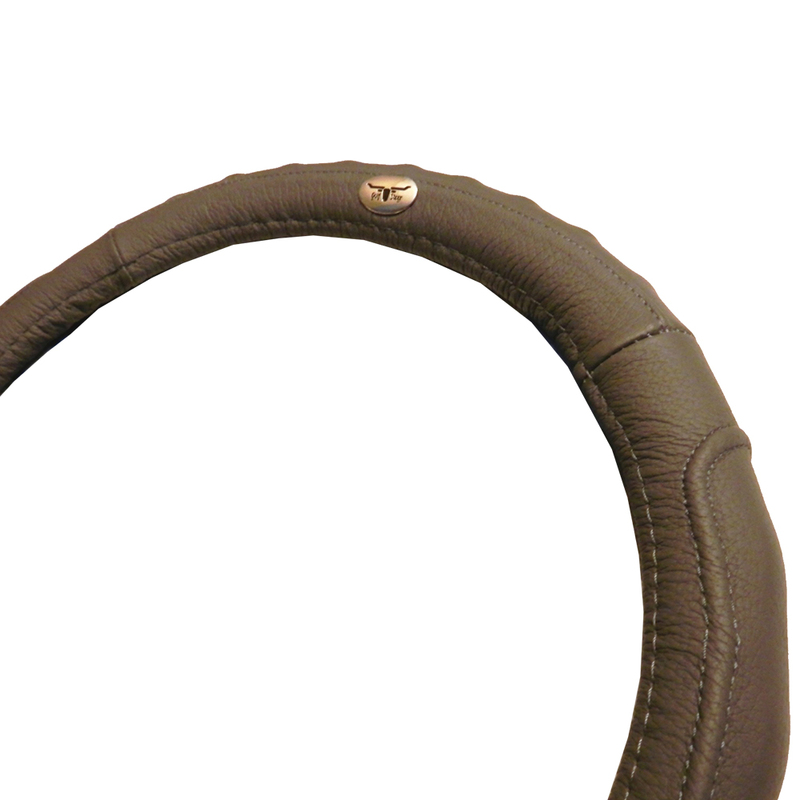 With precision detail stitching and comfortable padded grip, your new golf cart steering wheel cover slips on in seconds, and protects for years.